When we find our April selves back in the middle of March, it’s nice to have a simple soup as warming and comforting as a soft blanket to turn to. This roasted cauliflower soup is that for me. I’ve done plenty of variations on this basic idea, but this particular one is one I quite like. 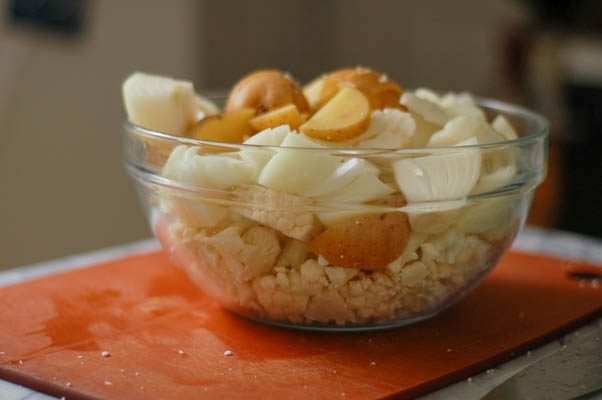 It starts with a pile of parmesan rinds, and couple of cloves of garlic and a bay leaf simmered in water to make a rich broth while cauliflower and an onion and a few yukon gold potatoes go into the oven to roast until they are deeply caramelized. Then the parmesan rinds get strained out, the roasted vegetables go into the pot and simmer until everything is softened and then everything gets zizzed with a stick blender. 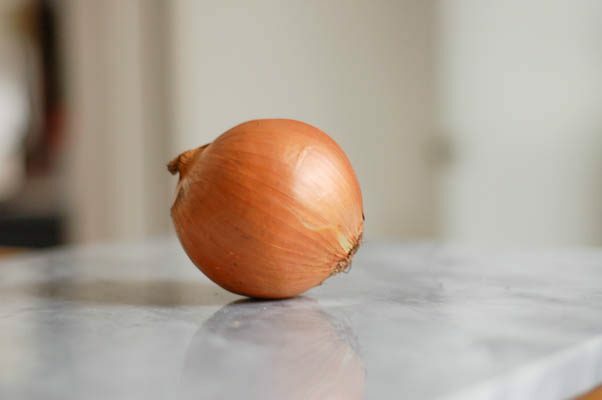 But what makes the soup special is that it gets garnished with a generous sprinkle of balsamic-glazed shallots which bring an acidic hit of sweetness and a contrasting texture to the smooth soup. I like to drizzle it with olive oil (or even better, smoked olive oil) and a sprinkle of flaky sea salt. It isn’t a revolutionary soup, but it’s a good soup to keep you warm while you wait for spring to settle in. 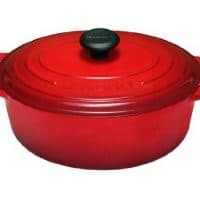 Looking for more soup recipes? Try this hot and sour soup, or this carrot ginger soup, or this lentil-sweet red pepper soup with cumin and black pepper. 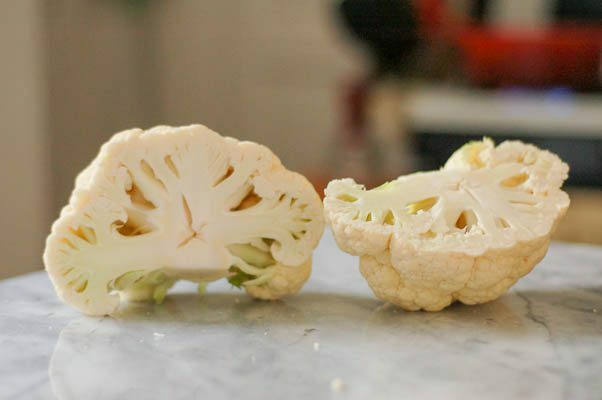 Looking for more cauliflower inspiration? Try this sweet and spicy Korean cauliflower. 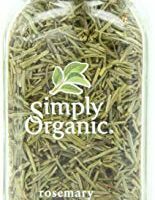 This parmesan rind broth is simple to make, but you can skip it if you like and use a chicken stock or vegetable stock or water (in that case, use about 4 cups). In Chicago, I’ve found parmesan rinds for sale at Whole Foods and Eataly. 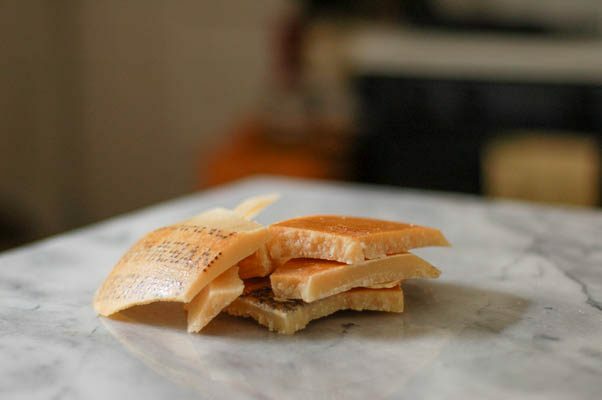 You can also save your parmesan rinds and store them in the freezer for months. This soup really benefits from the balsamic-glazed shallots, so don’t be tempted to skip them. They’re really simple to make. I especially love this drizzled with a little smoked olive oil. In Chicago I buy mine at City Olive. 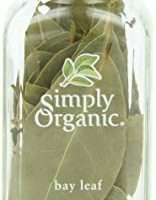 But it will be lovely with any olive oil you like. Preheat oven to 425 degrees F. Line a half sheet pan with aluminum foil (optional, but makes cleanup easier). 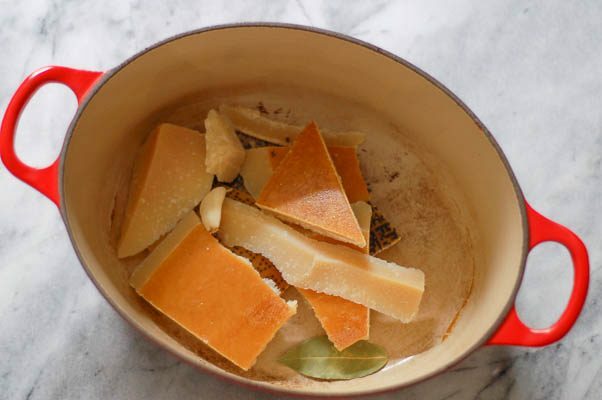 Place the parmesan rinds, garlic cloves, and bay leaves in a large saucepan or stock pot. Cover with about 5 cups of water and bring to a boil, reduce heat to low and simmer, uncovered, for about 30 minutes. 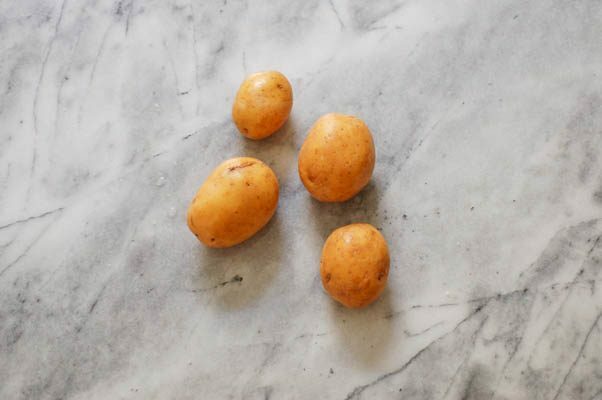 In a small bowl, toss the shallots and balsamic vinegar and olive oil until well coated. Line another baking sheet with aluminum foil, spread the shallots out in a single layer and roast, until deeply browned (almost blackened) in spots, about 10-15 minutes. Set aside. 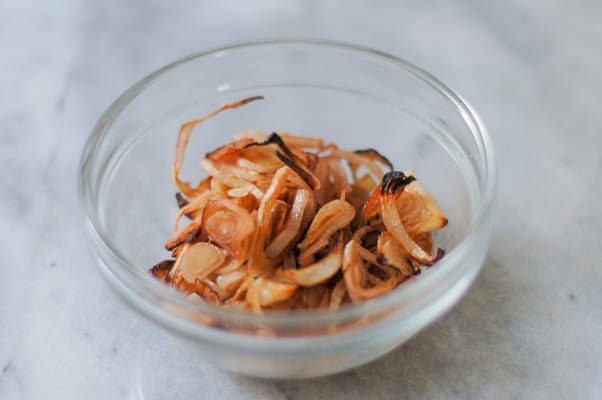 While the shallots are roasting, strain the broth through a fine mesh strainer into a large liquid measuring cup (or bowl). Some parmesan may have glued itself to the bottom or sides of the pot. Peel off any large chunks of rind, but don’t worry about the parmesan residue left behind. Return the pot to the stove and add the roasted vegetables. 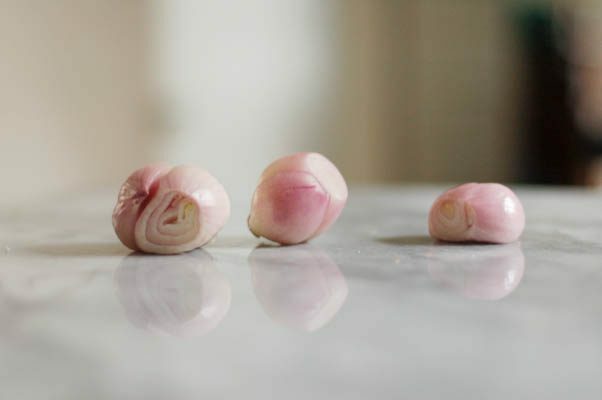 Retrieve the garlic cloves from the strainer and add them to the pot (discard the rinds and bay leaf). Pour the broth over the vegetables. There should be enough to cover. If not, add a little water. Bring to a boil, and simmer for about 5 minutes, until the vegetables are very tender. Remove from the heat. 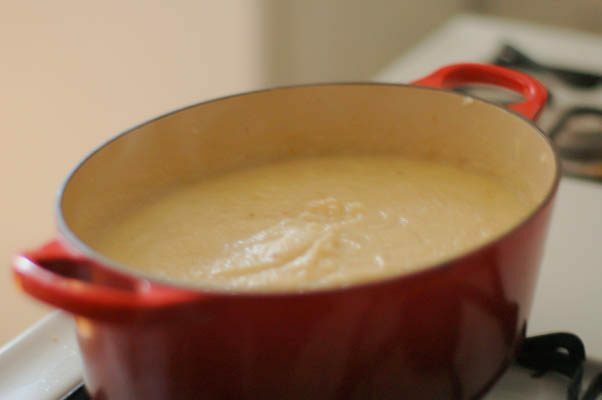 With a stick blender, puree the soup until smooth. Taste to see if it needs more salt and add more if necessary. 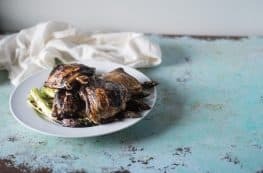 Ladle into bowls, sprinkle generously with balsamic-glazed shallots, and drizzle with olive oil, sprinkle with sea salt and freshly cracked black pepper (if desired). 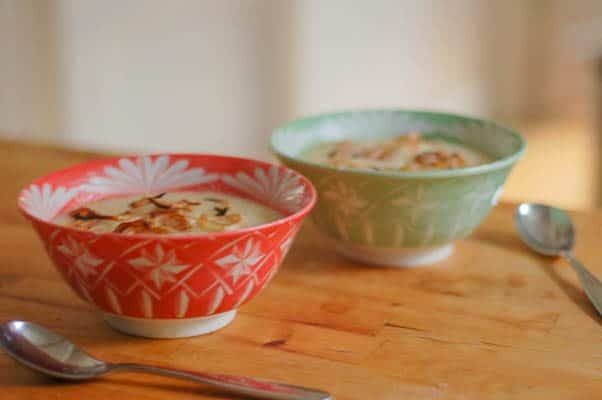 You must have read my mind, I’ve been thinking about how nice a roasted cauliflower soup would taste because it’s been so cold and nothing remedies that like a warm bowl of soup, pinning for later! Thanks, Sara! I love the depth of flavor roasted cauliflower brings to this soup. It’s a staple for me in cold weather. I really appreciate the addition of the balsamic glazed shallots to this roasted cauliflower soup recipe! Very nice twist. 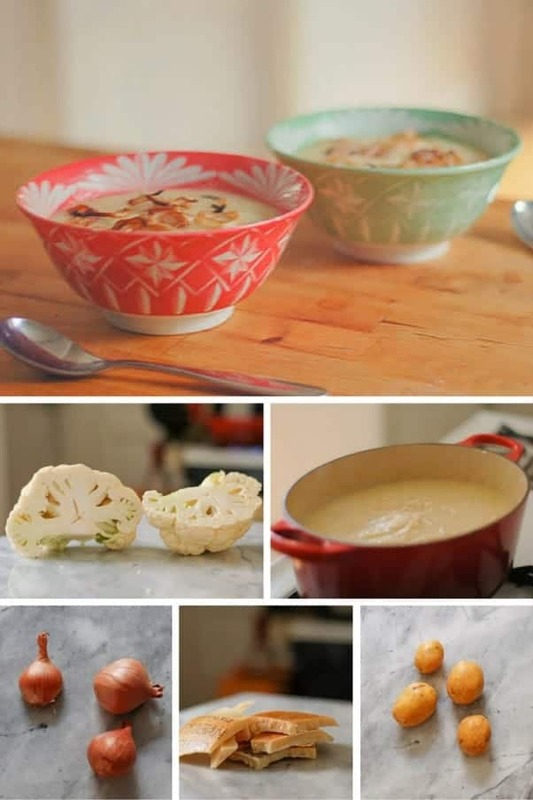 I am a big fan of cauliflower in all shapes and forms and this soup sounds absolutely delicious. Thanks for this great idea! I love it! My kinda soup! I LOVE this recipe! All the flavors are calling my name. Such a hearty, comforting soup! Definitely perfect for the sudden cold weather. I especially love the addition of the parmesan rinds to the broth. Yum. I love cauliflower soup! This looks so yummy with the shallots! I’m looking forward to trying your recipe.